Reasons for filing Bankruptcy: There are many reasons why people file bankruptcy. Some of the most common reasons include unemployment, illness, unexpected medical expenses, etc. What are the types of bankruptcy? In addition to Chapters 7 & 13 there 4 other types of bankruptcies. They are rarely used and not the focus of consumer bankruptcy. 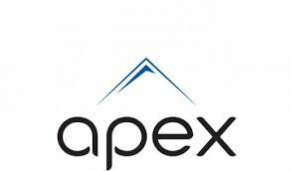 Apex bankruptcy services are limited to what is often called Consumer Bankruptcy: Chapters 7 and 13. What is the purpose of Bankruptcy? Although critics in society often try to make people in need of bankruptcy services feel guilty and ashamed, the truth is, one of the main purposes of Bankruptcy Law is to give a person, who is hopelessly burdened with debt, a fresh start by eliminating his or her debts. Its that simple. Chapter 13 Bankruptcy is also known as a reorganization bankruptcy. Chapter 13 bankruptcy is filed by individuals who want to pay off their debts over a period of three to five years. This type of bankruptcy is for individuals who have non-exempt property that they want to keep such as a house. This type of bankruptcy is for individuals who have regular income that is sufficient to pay their living expenses, and have money left over to pay off their debts in a payment plan. The process sounds more complicated than it is. However, it is not a process that you should try to navigate without an experienced lawyer. It is also not a process you should put in the hands of a Bankruptcy Petition Preparer (paraprofesssional that is allowed to complete bankruptcy forms but is not allowed to represent you in court. So if something goes wrong, you are going to be left in court by yourself). Mr. Mitchell has been practicing bankruptcy law since 1997. He will walk you through the entire process. All you have to do is cooperate and be responsive to his requests for information. The sooner you get started the quicker the process can begin and end! REDUCED BANKRUPTCY FEES FOR CHAPTER 7 FILERS WHO ARE RENTERS! Mr. Mitchell is currently running a Bankruptcy Special for Chapter 7 Bankruptcy in D.C. and Maryland for Renters Only! The cost is only $1,400.00. That does not include the Court Filing Fee and Bankruptcy Course Fees. he provides a wide variety of other legal services. Chapter 7 Bankruptcy sometimes called a straight bankruptcy is a liquidation proceeding. The person filing bankruptcy is required to turn over all non-exempt property to the bankruptcy trustee who then converts it to cash for distribution to the creditors. The debtor receives a discharge of all dischargeable debts (which may include things like unsecured credit cards, medical bills, past due rent from prior landlords, deficiency judgments from foreclosure, car loans from repossessed vehicles, etc. ), usually in about 6 months. In most cases the debtor has no assets that he would lose so a Chapter 7 will give that person a relatively quick "new start". .
or market forces. In general, new bankruptcy laws have created new requirements and added additional work and responsibilities for the lawyer and filer. These new laws have generally led to increase in costs with many lawyers. Attorney Mitchell normally charges $1,800.00 for attorney's fees alone for a Chapter 7 Bankrupcty. This does not include the fees for the Certificate of Counseling that you must have before filing your Bankruptcy and the Debt Mannagement test the Debtor has to complete after filing bankruptcy but before his/her discharge. Both test can be completed over the telephone and/or internet and adds around an additional $100.00 the client must pay to the Counseling Service Companies. Mr. Mitchell works with a counseling service company that often provides discounts to his clients for the cost of gettting the Certificate of Counseling and completing the Debt Management Course. of bankruptcy fraud...and you don't want that to happen!